The Greater Naples Chamber of Commerce is the largest nonprofit advocate for the Collier County business community. With more than 1,600 members representing 50,000 employees, The Chamber is actively involved in local government and regional economic development while providing valuable resources to its members. Naples on the Gulf - Presented by The Greater Naples Chamber of Commerce, Naples on the Gulf is an annual magazine that features the information on some of the best places to eat, stay, and play in Collier. Click the cover image below to view the 2019 Naples on the Gulf magazine. Downtown Naples - Presented by Gulfshore Life, Downtown Naples is an annual guide to the best of downtown Naples that provides information about the best places to eat, drink, shop, and have fun in each of the unique areas of the Downtown Naples areas. The guide also offers a fold up map and a year-long calendar of events to enjoy! Click the cover image below to view the 2019 Downtown Naples guide. Stop by the Visitors Information Center at the Greater Naples Chamber of Commerce, where they provide an array of information and maps to assist visitors and residents alike, and their friendly volunteers will be ready to answer your questions. 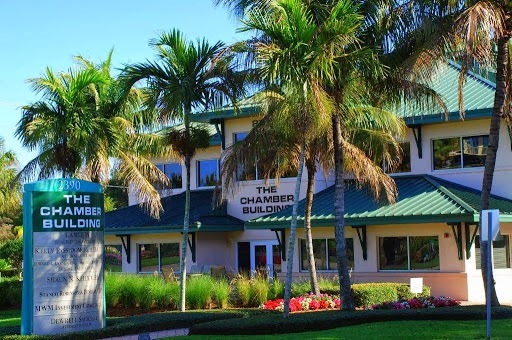 To learn more about The Greater Naples Chamber of Commerce and reasons why you should choose to live in Collier, click here! From the lavish and luxurious to the modest and family-friendly, the Naples-Marco-Immokalee area offers a wide range of housing options to fit any budget. The Naples Area Board of REALTORS® and Association of Real Estate Professionals (NABOR) is a local branch of the Florida Association of REALTORS® and the National Association of REALTORS® and together, they can provide eduction, research, and information on various options for those looking to rent or buy in Collier County.